Galardi emerged as a star wine property in Campania over the past decade years with a series of excellent vintages. Campania’s volcanic soils yield wines of impressive elegance and personality, as demonstrated through an array of compelling indigenous varieties Under the guidance of oenologist Riccardo Cotarella, the estate’s flagship wine Terra di Lavoro (80% Aglianico, 20% Piedirosso - bottled unfined and unfiltered after 12 months in 100% new oak) has risen to become one of Italy’s cult wines, and with good reason, as it is consistently great. Terra di Lavoro showcases the qualities of these two ancient varieties and the volcanic soils on which they are grown. These two grapes combine to imbue the wine with concentration, compelling complexity, and length. 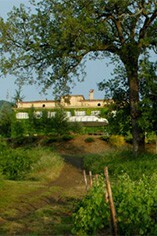 Galardi emerged as a star wine property in Campania over the past decade. The region’s volcanic soils yield wines of impressive elegance and personality, as demonstrated through an array of compelling indigenous varieties. 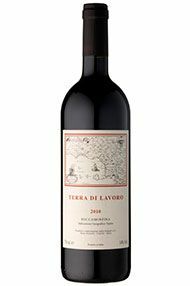 Terra di Lavoro, the estate’s flagship wine, has risen to become one of Italy’s cult wines, and with good reason. It showcases the qualities of two ancient varieties (Aglianico and Piedirosso) and the volcanic soils on which they are grown. The two grapes combine to imbue the wine with concentration, compelling complexity and length. Produced from Aglianico and Piedirosso (an ancient variety from Campania that –when treated with care – gives good body, soft tannins and gentle minerality), Galardi’s top offering is no shrinking violet, but combines its power with fine definition and poise that has elevated this hidden gem to cult status.